Treat yourself to a soothing and durable manicure and/or pedicure in our beautiful and relaxing setting. We take great pride in our sanitation and sterilization. Only superior quality materials are used — none with MMA. 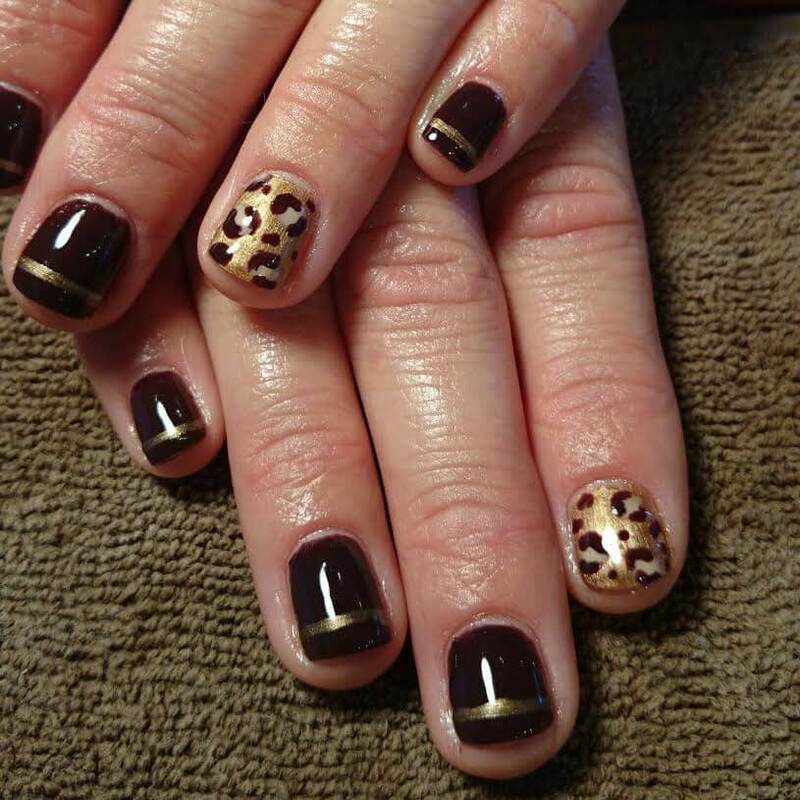 Our nail professionals provide an excellent and caring guest experience while making your nails beautiful. A quick pick up for a special event or just to refresh your color. Revitalize your spirit while we groom your hands with this manicure treatment that is designed to make even the most neglected digits appear their best. These nails ensure beautiful hands for even the most active lifestyle. Designed to wear well with minimal maintenance. Silk, gels, or acrylic overlays give you beautiful nails instantly. Designed to maintain nail enhancements in top condition. 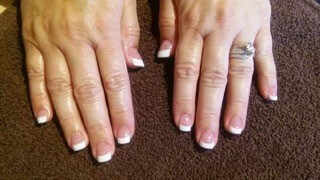 Back-fills are done every other visit to keep beautiful natural looking nails. 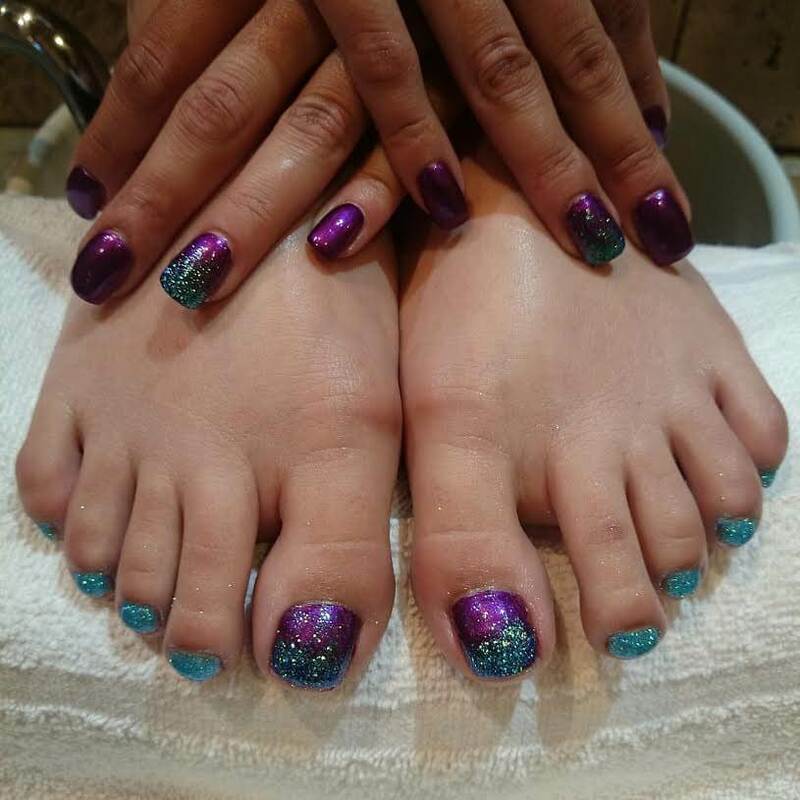 (30 minute service) Refresh your feet with this quick service for a pick me up or special occasion. You and your nail professional will decide on the goal for your service—deep exfoliation or a totally soothing and relaxing treatment. This pedicure begins with a warm aromatherapy soak. Nails are trimmed and filed to perfection and cuticles gently pushed back and trimmed. Depending on your need, will include exfoliation, massage and callous remover–leaving your soles smooth and your feet beautiful. Finish your pedicure with the polish color of your choice. 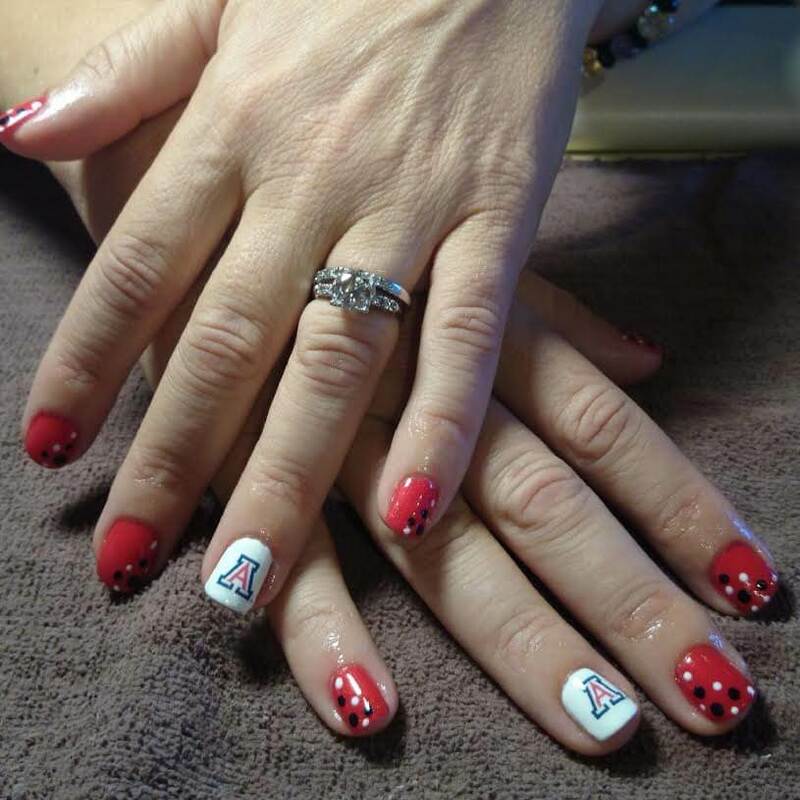 Dress up those nails with something customized for you ranging from holiday nail art to beautiful creative designs to nails showing support for your favorite sports team. 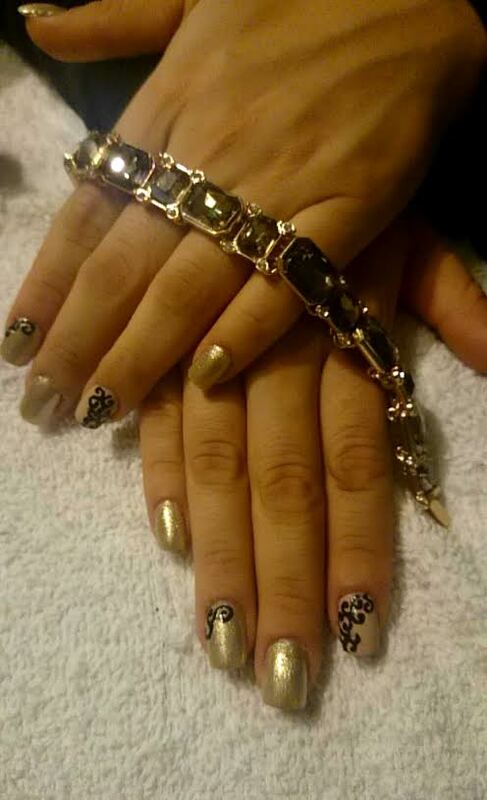 added to manicure or pedicure. If you are hard on your nails, this super durable polish is the right manicure for you. A warm, vitamin enriched paraffin helps to soothe aching hands and feet while emollients penetrate deeply to soothe dry skin. Can be added on to any pedicure and manicure. 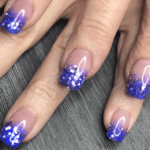 If your nails are damaged from improperly applied or removed overlays, please call to schedule a omplimentary consultation with a nail professional so that she can assess your nails before you make an appointment for service. 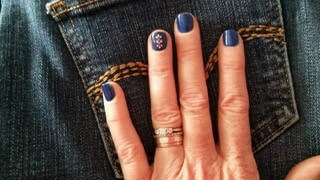 This will assure that we allow adequate time for a corrective nail service and get your nails back on the road to healthy, strong and beautiful!